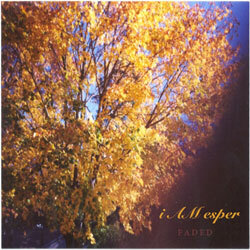 i AM esper is Justin Palmieri, whose work encompasses the genres of ambient, drone, minimalist and organic noise, created primarily with his baritone electric guitar, effects, and often including field recordings and found objects. His discography includes cassettes, CDs and netlabel releases. This is his first release on Webbed Hand Records. Credits: justin palmieri – electric baritone guitar, amplifier and effects. Recorded april 2011 by justin palmieri. This entry was posted in Catalog and tagged ambient, Catalog, drone, guitar drone, i AM esper, Releases, Soundscape by C.P. McDill. Bookmark the permalink.